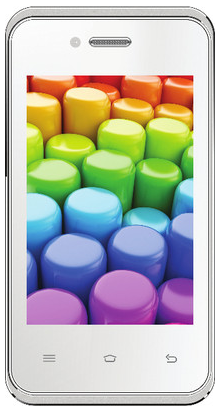 Karbonn Smart A52 Plus is one of the cheapest Android smartphones available in India. Read this review to know the pros and cons of this budget smartphone. The mobile market in India is flooded with lot of brands both small and big. Karbonn is one of the leading brands in the country. It has mobile phones to cater every budget right from budget phones to feature rich smartphones. Karbonn Smart A52 Plus is one of the cheapest Android smartphones available in India which is available at an very affordable price yet packed with features. In this article we will first check out the complete features of Karbonn Smart A52 Plus and list out pros and cons of buying this phone. It is a Dual SIM phone like all other phones from this manufacturer. It has 3.5-inch TFT LCD capacitive touchscreen with HVGA resolution of 480 x 320 pixels. This makes it easy to watch media like videos and images and play some games. It has 1.2 GHz MTK dual core processor which is capable of running the phone smoothly. It runs on Android v4.2.2 (Jelly Bean) operating system. The best thing is that this phone has both primary and secondary camera. The primary camera is of 2 MP with flash support and the secondary front camera in VGA. The phone is Wi-Fi enabled which makes it possible for you to browse internet when you are connected using Wi-Fi. It has 1300 mAh battery which the company claims to provide up to 100 hours of standby time on 2G. The device comes with 4GB internal memory which can be expanded upto 32 GB by using a microSD card. In addition to it the phone also has an FM radio. The phones comes with some preloaded apps and games. The phone is extremely affordable costing around Rs.2499/- (at the time of writing this article). This one of the major pros of using this phone. The phone has a primary as well as secondary camera. the phone has 1300mAh battery which can last long with moderate usage. The phone has 3.5 inch capacitive touch screen. It is one of the cheapest phones that runs on Android operating system. The phones doesn't support 3G. This is the major con of this phone. It operates on Android jellybean operating system which looks a bit outdated since the Kitkat and Lollipop versions are already out. Looking at the price for which is is offered, I am ready to overlook at all its cons. If you are thinking of buying a budget smartphones which is reasonable priced below Rs.3000 and packed with features then Karbonn Smart A52 Plus is a must buy phone considering that it is available for just Rs.2499 on Flipkart. It can be an ideal choice if you are looking for a secondary phone or even a primary phone with lots of features at an extremely economical price. Are you looking for the differences between Karbonn A9 and A9+ Android based smart phones? Read on to find the enhancements in A9+ compared to the A9.